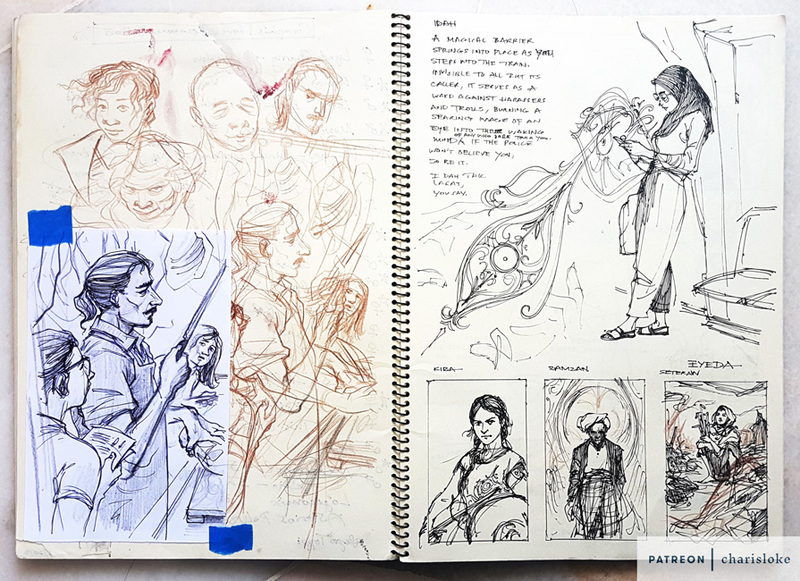 Early sketches for some of the Kejora stories. You’ll also be able to shape upcoming stories and art - there’s a poll right now where patrons vote on the next Geeky Baju set. 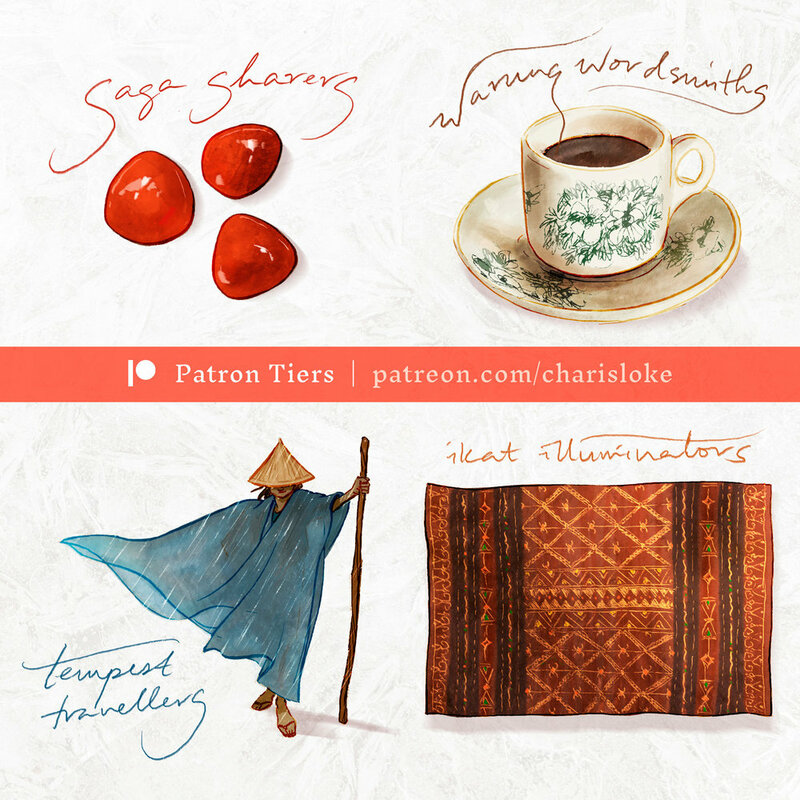 And depending on which tier you pledge at, you have additional access to resources on Southeast Asian culture and being a freelance illustrator, wallpapers, postcards, and original studies. Tiers begin at $1, $4, $10, and $25 respectively; you can pledge any amount and change tiers at any time. Because patrons receive updates directly from creators, you'll get to see all the content unlike on platforms like Facebook or Instagram where algorithms often determine which posts are visible. I’m excited to create more personal work this year together with your input. Here’s to this journey!